A New Year and some new prints and originals go up for sale! 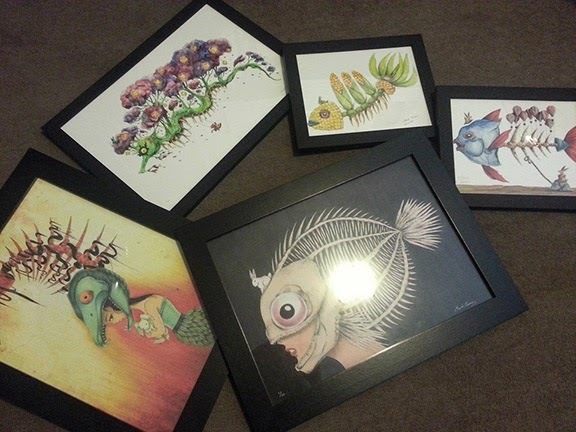 Some of the prints and originals I prepared today to see if anyone would buy them at the Pepper Cafe. The Seahorse Garden print is my best seller there. It will be nice if my works can find a good home to go to. Hopefully people will like them! If not, all good. Art is subjective and as long as I can draw what I want in my spare time, then am happy.